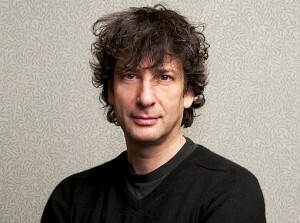 Neil Gaiman Quote: True Fact! a child’s love of reading. In a recent lecture, Neil Gaiman passionately warned of the danger of adults trying to dictate what children should or should not read. 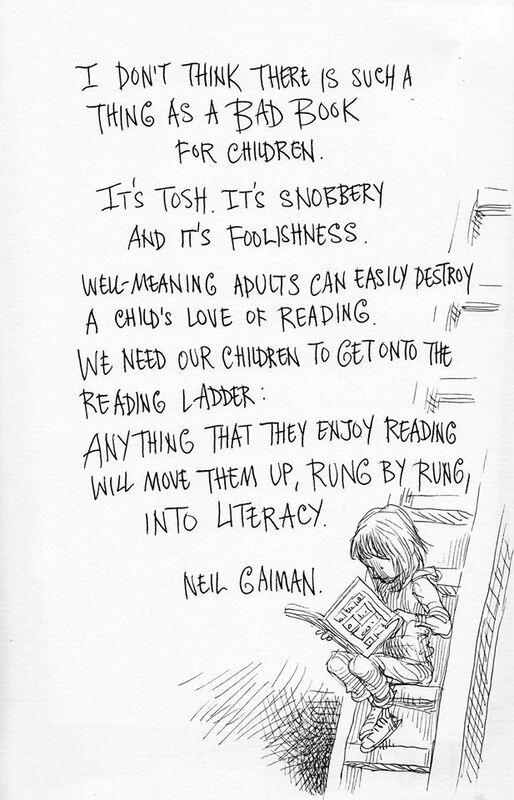 He believes children should decide for themselves, they should read what they love, and that the wrong kind of interference, no matter how well-intentioned, can snub out a child’s interest in reading forever. This all reminded me of an interview I conducted with Thomas Newkirk, author of the important book, Misreading Masculinity: Boys, Literacy, and Popular Culture, Newkirk spoke to these same issues — the imposition of adult tastes on students, particularly young boys. Yes, some of this strikes a chord in me. I’m an ex-kid myself. But I’ve already encountered glimpses of this — and open hostility — for my new SCARY TALES series. I was at a book festival in Chappaqua when a daughter and her father (after he put down the phone) had a long argument at my table. She wanted one of my SCARY TALES books. She said, “I really, really want to read this book.” He did not think it was worth her while. She countered, he hunkered down. This went on for five minutes while I sat there like a rubber dummy, agog and aghast. This doesn’t just happen with girls. In another situation, I was asked not to mention my new series to anyone at an elementary school where I had been invited to speak. I could come, I was told, they loved my books — just don’t talk about, you know, the books that should not exist. Oh well. 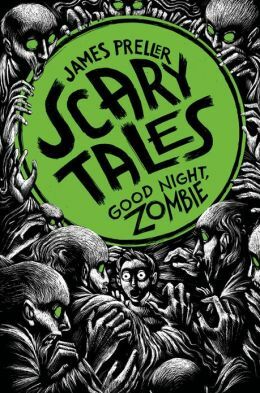 In the end we both know that many elementary school children love scary stories — many librarians I’ve talked to can’t keep them on the shelves — but in this case that’s not what you, or nameless others, want them to read. Or to even be made aware the books exist. We also know about the power of a motivated reader. And how readers grow and develop over time. How one good book leads to another. But this is what boys have always been told, that what they like isn’t worthy, what they enjoy is somehow “wrong.” We deny their maleness. And the “we” is usually well-meaning women. Rather than building bridges to literacy, some people put up obstacles. And thus: there is a national crisis in boys reading scores. And until attitudes change, that crisis will continue.